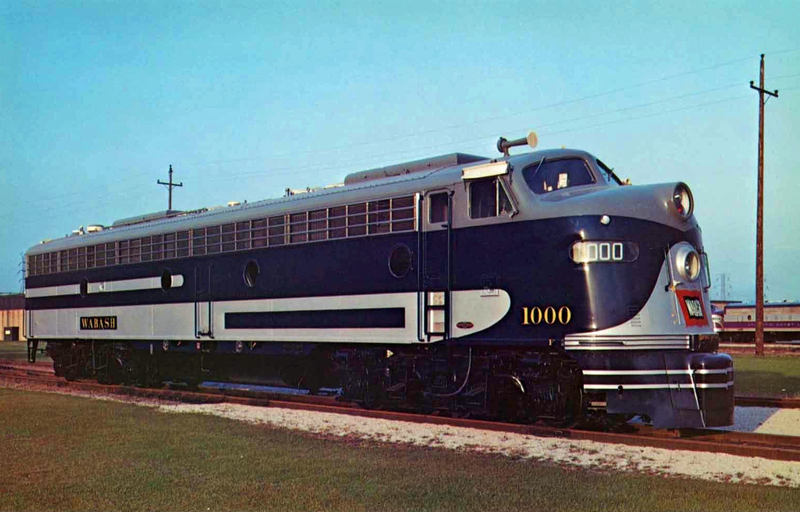 The EMD E8 was one of the final models in the series the builder produced. Manufactured during the late 1940s through the mid-1950s the E8 was the one of the most successful in the series (selling nearly 500 examples), which was largely due to EMD's lofty status as the premier locomotive manufacturer of the era. As with the E7, many Class I railroads purchased the E8 for use in passenger service and their reliability saw them remain in use all of the way through the early days of Amtrak. Interestingly, after all of the previous models since the E3 had carried 2,000 horsepower EMD decided to bump up this rating in the E8. Today, the E8 is the most well preserved designs of the series with 58 either in operation or on static display around the country. The most famous of these is Bennett Levin's two former Pennsylvania Railroad E8s, #5711A and #5809A. They have been beautifully restored to their original livery and numbers and now tour the country hosting excursion trips at various times throughout the year. 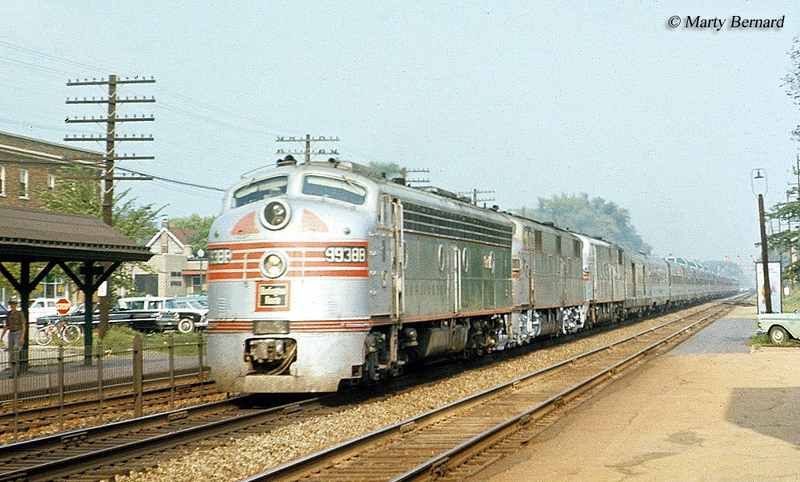 The EMD E8 began production in the late summer of 1949 as an upgrade to the earlier E7 design. This latest model looked almost identical externally to the E7 save for the grill running the length of the carbody and the addition of four port holes. 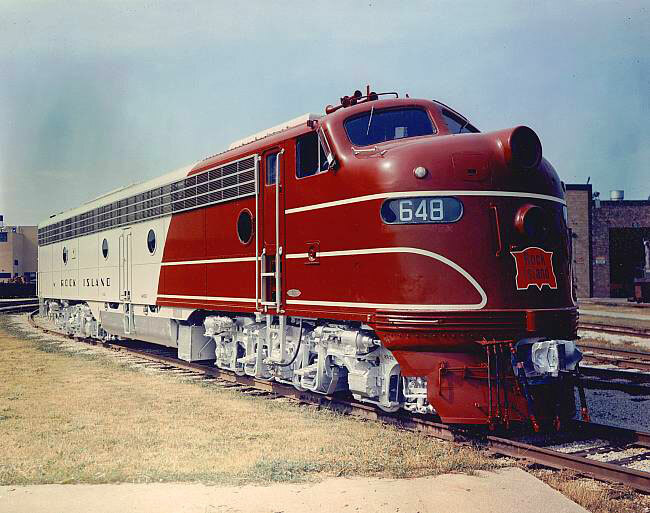 The E8 also featured the classic "bull dog" nose (which first featured on the E7) and came equipped with two GM-built model 567B prime movers, which combined allowed it to produce 2,250 horsepower, the first upgrade in power since the E3 model. Once again EMD used an A1A-A1A truck setup (whereby the center axle was unpowered) on the E8 to provide extra traction although they equipped it with a new traction motor, the model D37 (it's continuous tractive effort, however, remained at 31,000 pounds continuous and 56,500 pounds starting). EMD's latest passenger locomotive was a bit shorter than previous designs. This began with the E7 where the builder had shaved a foot from the overall length making the locomotive just 70 feet in length. Of course, visually, one could hardly notice the difference in size. The weight, however, remained the same at 157.5 tons (for the A units, Bs were slightly less). Railroads again liked EMD's latest E series model (the extra horsepower was a great addition allowing the E8 to pull heavier loads) with numerous Class Is purchasing the E8 for use on their flagship passenger trains (interestingly, however, just one Canadian line went on to purchase the locomotive, Canadian Pacific bought three for use in the United States). 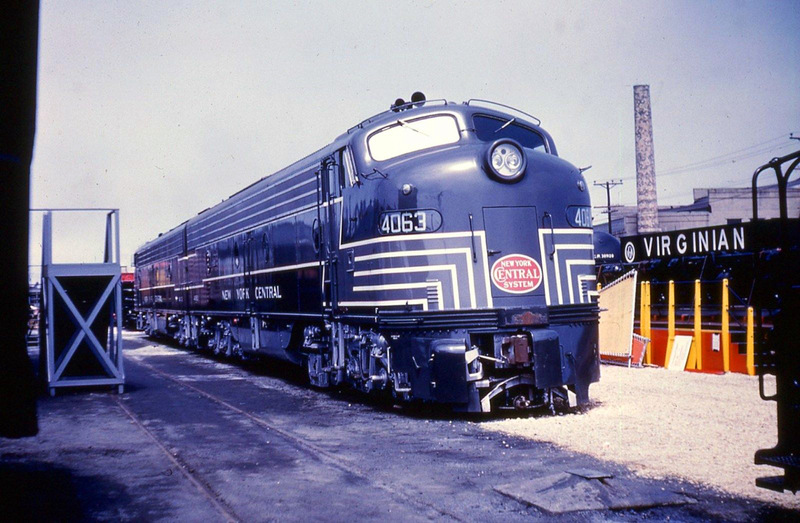 By the time production had ended on the locomotive in early 1954, EMD had sold 449 A units and another 46 B units with the Pennsylvania Railroad picking up the most, 74. 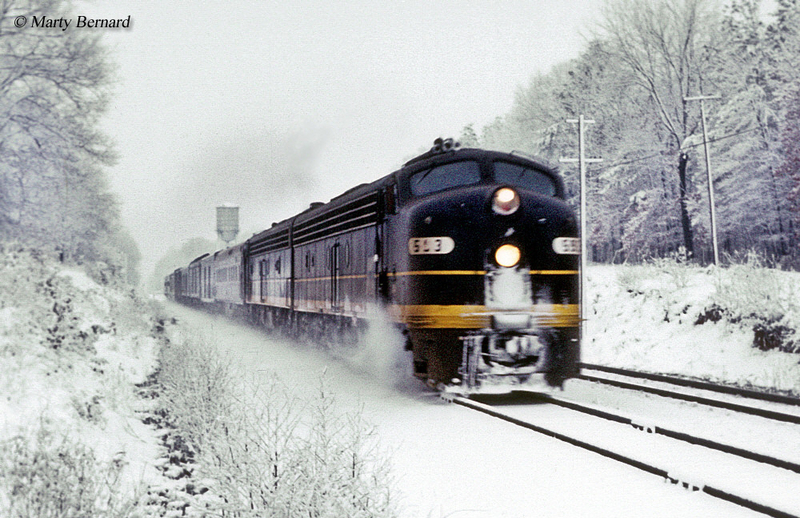 Railroads who went on to purchase the E8 included the Santa Fe, Atlantic Coast Line, Boston & Maine, Baltimore & Ohio, Burlington, Central of Georgia, Chicago & North Western, Rock Island, Chesapeake & Ohio, Lackawanna, Erie, Fort Worth & Denver (CB&Q), GM&O, Illinois Central, Kansas City Southern, Louisville & Nashville, Katy, Missouri Pacific, New York Central, Pennsylvania, RF&P, Seaboard Air Line, Frisco, Southern, Texas & Pacific, Union Pacific, and Wabash. The E8 would all but end the market for passenger model locomotives, at least in regards to wide-scale sales. As the locomotive ended production in 1954 rail travel was fast losing interest with the general public and railroads, naturally, began devoting fewer and fewer resources to the service. As such, the E9 cataloged from 1954 through 1964 sold less than 150 examples. Ironically, while the E7 and E8 both saw roughly the same number of sales, just one example of the former survives while the latter is one of the best preserved EMD models with dozens still in existence, a few of which remain operational (this was caused by many roads trading in their E7s for newer E8s, thereby reducing the cost).